We need to focus on the differences in the mobile interface and the engagement techniques used to create interaction and collaboration on a mobile device. It seems like everyone’s talking about mobile learning, or m-learning, these days. And it’s no surprise, as tablets and smart phones are everywhere. So, how does m-learning relate to the live virtual classroom? If you think back to the early days of the virtual classroom, this should feel familiar to you. When the virtual classroom first was introduced in the 1990s, the training community assumed it would be just like the traditional classroom. All the elements were there - we had learners and instructors, and we had slides. Since the ingredients were the same, it was assumed the learning outcome would be the same. Now we know differently. The desktop virtual classroom has a different toolset and unique engagement opportunities when compared to the traditional classroom environment. And that’s where we are now with the mobile virtual classroom; at this point in time, it seems as if it should work exactly the same as the desktop virtual classroom, because all of the elements seem to be in place. However, this time we should focus on what’s different about these delivery methods, not what is the same. We need to focus on the differences in the interface and the engagement techniques used to create interaction and collaboration on a mobile device. Here’s the paradigm we need to shift: Tablets and smart phones have become so powerful that users expect that anything they can accomplish on a desktop computer also can be accomplished on a mobile device. Unfortunately, as we all have probably experienced, that’s simply not true. Learners can try to participate in a program designed for a different technology using a mobile device, but the learning won’t be as meaningful. However, in some circumstances, of course, mobile virtual learning will work. Let’s take a look at some of the most common questions surrounding the mobile virtual classroom. Keep in mind, this is a relatively new discussion, so the answers will evolve as practitioners put them to the test, and as technology changes. Question #1: What can you teach well in a mobile virtual classroom? The key thing to remember here is to be authentic, especially where the real-world task is recreated in the learning environment. Learners are using mobile devices often because they are, well, mobile. To take advantage of that, be sure to think about what skills they need when they’re on the go. This is also called contextual learning. If we are teaching someone how to create pivot tables in Microsoft Excel, that content should be designed for a virtual desktop environment because that is the environment in which learners will be applying the skill. Learning this skill on a mobile device is not only not contextual, it’s difficult to see the detail involved with the tasks. However, if we are teaching a warehouse manager how to use an iPad to assess stock levels, short mobile interactions are contextually appropriate because we are delivering content using the tool the learner eventually will need to master for the job. Question #2: Can you really engage live learners participating from a mobile device? All mobile learning can be effective for any particular individual; however, statistics show that a larger proportion of our learner audience is less likely to be fully engaged when using a mobile device. Chances are, many of those learners are located in transient environments such as conference rooms, coffee shops, or executive lounges and airports. As we all know, it’s very hard to maintain focus when the environment is demanding your attention. To keep that all-important engagement, if you are designing a program to be delivered in the live mobile environment, you must keep lessons short. Most people using mobile devices are looking at a small screen, and are often not in a comfortable learning environment. 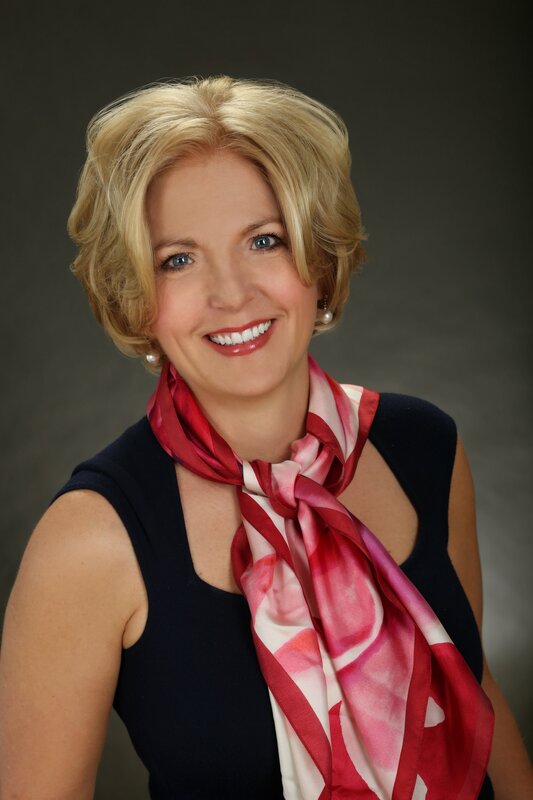 So I suggest you schedule live mobile sessions for 30 minutes, and plan for 20 minutes of content and conversation. To support that engagement, be sure to use a producer to keep track of who actually is engaged. The producer can help you manage the roster to make sure everyone gets a chance to speak and will pay attention to who’s actually participating. And, in poll and chat exercises, the producer, in this environment, has the primary job of actively monitoring your learners. Question #3: Should we dictate what device learners use? Selecting a device on which to learn, whether a desktop computer, tablet, or smart phone, is ultimately about learner choice. Will the learner be in an airport or an office? At work or at home? To allow learners to be as effective as possible, we need to give them as much information about the learning event ahead of time so they can make a salient and intelligent choice about which device to use. But ultimately, learners are the arbiters of what’s important to them. No matter how often we stress that a particular session won’t be valuable if joined from a mobile device, learners may choose to join on their tablet. So for those mobile attendees, facilitators need to send the message that if a learner elects not to participate on the suggested technology that learner will not have the optimal learning experience and will not (presumably) master the content. Whether your virtual classroom content is being delivered at the desktop or via a mobile device, learners always will try to push the boundaries. For instance, they’ll ask questions such as, “Can I participate by audio only?” Or, “Can I just watch the recording later?” Again, this comes down to some aspect of learner choice. There were presumably design decisions made that dictated why this content is being delivered in a live format. If you allow learners to participate using audio only or just watch a recording, they will not have the same experience and, therefore, the mastery of the content will not be the same as those participating in the environment for which the content was designed. The question of instructional fidelity needs to be answered prior to learners making the choice as to how to participate. And, whenever possible, the learner’s supervisor should understand the implications of that learner not participating in the suggested environment. Question #4: Are digital natives really more adept at learning in the mobile virtual classroom? There is an assumption that digital natives (people born after 1980) are more inclined to and adept at using technology to learn. It’s true, the more naturally comfortable with these technologies, the easier it is for learners to learn, but they still often are looking for a facilitator to tie the content together. This is because even though they know how to access information, the technology is a tool. They aren’t necessarily learning in context. In this brave new world of mobile technologies and bring your own device (BYOD), the training community is facing many challenges. In the rush to deploy content quickly and make it accessible from wherever the learners are, we aren’t giving enough thought as to what should be taught and how it should be delivered. To be successful, savvy designers need to take advantage of the mobile virtual classroom technologies and avoid design catastrophes; facilitators need the ability to deliver to a mobile audience; and we all should strive to create an authentic experience where office workers learn at their desks, and mobile workers learn wherever they happen to be. And always remember that these experiences are not the same. This article originally appeared in Training Magazine Online on January 16, 2015 in the column "Virtually There." 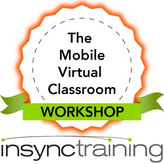 Interested in learning more about creating the mobile virtual classroom? Click on the icon below to download information on our new course, The Mobile Virtual Classroom Workshop. We've also got a whitepaper on the subject, The Mobile Virtual Classroom.